Build your foundation with Heartland! Your vision can be your reality. At Heartland Bank, we realize that home dreams do not always include the cookie cutter houses that are so often the majority of the options available today. We also understand that your vision is not an easy one to attain. We've got your back - let us worry about the road to your dream while you worry about where to park the car! Heartland Bank can guide you through the construction process from the very start, with the lot loan, to the finish, with the final mortgage loan for your new home. We are confident that we can make the process simple, quick and worry-free. Sometimes, your best move is not to move at all. With a Renovation Loan, Heartland Bank can put you on the right path to making significant home improvements, such as upgrading a bathroom or adding an addition. Not only will improvements make a difference in your daily quality of life, but also increase your home value as well. Improve, don’t move! Have your eye on a beautiful, older home that could be your dream home, but it is in serious need of updates? With our Construction-to-Permanent Renovation Loan, we can help you buy an older home and provide you with the funds to renovate it. Heartland Bank’s Construction-to-Permanent loans combines construction and mortgage financing into one. A one-time application process and one-time closing costs. The construction loan automatically converts to a permanent mortgage when your house is complete. Your financing is done, now it’s time to make choices – cabinets, fixtures, floors and doors. When you are ready to start so are we! We can speak with you at any of our branches or you can use our online application to start the process. In addition, you can check your loan status at any time with our online tools. 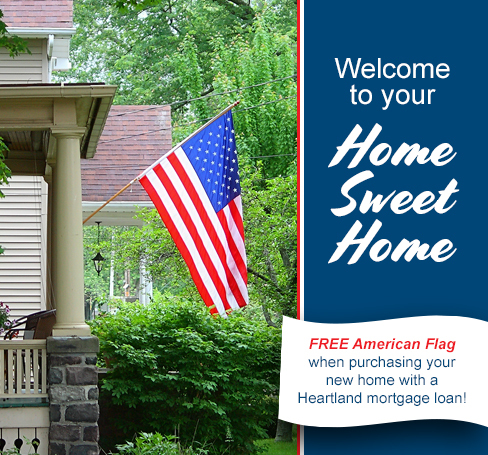 To speak with a Heartland Mortgage Banker, click here or visit any one of our local branches.